Contact SHS Pest Control. Phone 401 848 0068 for a free pest evaluation. 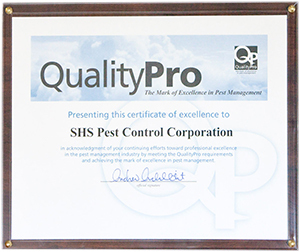 Contact SHS Pest Control today to schedule a free pest evaluation. Our pest control program is customized based on your needs. We will inspect and evaluate your home or business and provide you with a program for extermination and prevention.